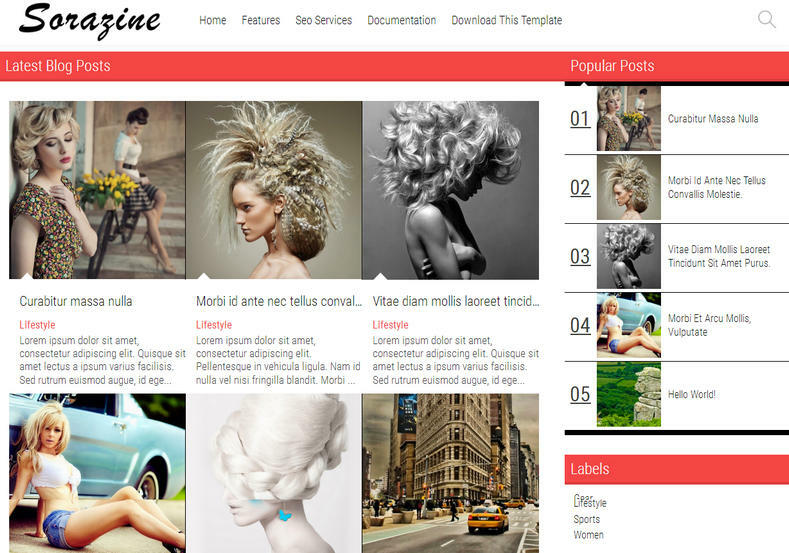 SoraZine Modern Blogger Template is a semi magazine grid design blogger template, it comes in boxed layout. Mainly suitable for news and viral story blogs, but it also can be used for tech, niche, food, review, recipe, sports, video, movies, politics etc. This is a a very beautiful and elegant looking template crafted with latest and updated web designing technology like HTMl5 and CSS3. It has pre installed useful widgets so you don’t have to worry about anything else. White, Drop Down Menu, Ads Ready, Seo Ready, Responsive, Magazine, Fashion, Elegant, Social Bookmark Ready, 1 Right Sidebar, 4 Columns, 3 Columns Footer, Page Navigation Menu, Girly, Fast Loading, Browser Compatibility, News, Adapted From WordPress.